Getting the maximum settlement or award in a personal injury case is always the goal. Personal injury attorneys use a wide range of available types of damages to collect the most for their clients in personal injury cases. There are a wide range of factors used to determine damages and one of these factors is the concept of maximum medical improvement. Maximum medical improvement is the point where no further recovery or improvement from an injury is expected even with further medical attention. 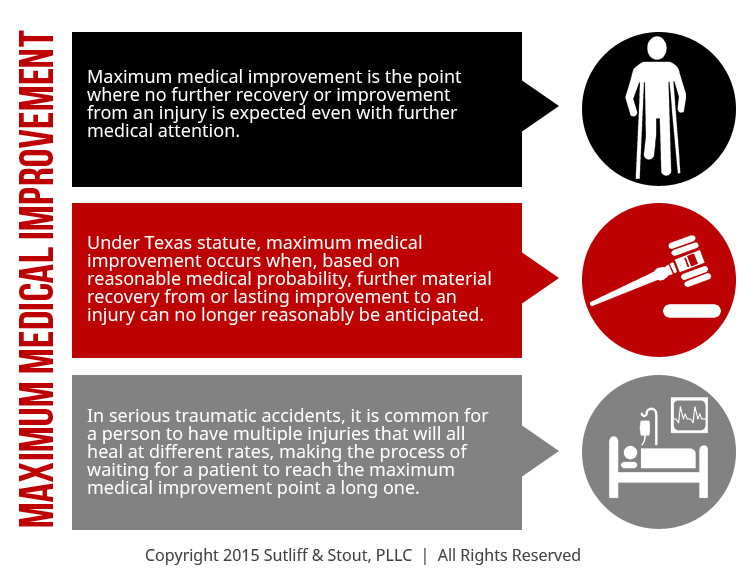 Under Texas statute, maximum medical improvement occurs when, based on reasonable medical probability, further material recovery from or lasting improvement to an injury can no longer reasonably be anticipated. In serious traumatic accidents it is common for a person to have multiple injuries that will all heal at different rates, making the process of waiting for a patient to reach the maximum medical improvement point a long one. Who Determines When Maximum Medical Improvement is Reached? It is not decision of the injured, attorney, insurance company, judge, or jury to determine if an injury will heal any further. Maximum medical improvement will be determined by a licensed doctor. A trained physician may testify in a personal injury case that the claimant’s injury has reached the maximum medical improvement point. Why is Reaching Maximum Medical Improvement Important? Reaching maximum medical improvement can give peace of mind to the injured in finally knowing where they stand as far as the long-term effects of their injury; however, reaching this point can also greatly affect any settlement or personal injury award as well. Knowing the long-term consequences of the injury can help determine damages. Once the true nature of the damages can be determined, personal injury attorneys can use this to their advantage when negotiating settlements and proving damages in a personal injury lawsuit in order to get the largest personal injury award. Punitive damages, if the other party acted with malice, which involves an intent to injure or a conscious disregard for the health and safety of others. If a personal injury case involves a serious injury for which the maximum medical improvement point has been, reached then medical expenses will continue to increase and may accumulate throughout the claimant’s life. Once an injury reaches maximum medical improvement, the real long-term effects of the injury can be determined by a personal injury attorney. Once the injury has healed as much as possible, the lost earning capacity for future employment can be determined more accurately when the attorney and claimant understand the severity of the remaining disability. Future pain and suffering cannot accurately be estimated until the injury reaches the maximum medical improvement phase. Waiting for the maximum medical improvement point to be reached before settling a claim or filing a lawsuit can have its benefits. Under Texas Statute, however, a personal injury lawsuit must be filed within two years of the date the injury occurred. Of course, each injury’s healing progress and time is different and cannot be predicted; as such, an injured party should speak to an attorney to discover the range of possible actions. Determining accurately the future earning capacity of a claimant is virtually impossible until an injury has healed to the point that it will heal no further. Any disability that the claimant is left with will determine what jobs they will be able to do in the future, and what their future earning capacity will be. Knowing the true long-term effects of an injury can be used in settlement negotiations and at trial to prove damages and seek a higher personal injury award. 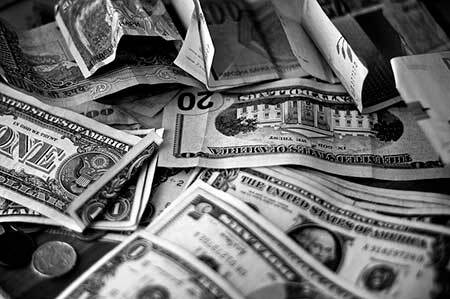 Settling a claim before the maximum medical improvement point has been reached can drastically lower the amount received through the settlement.